Apparently, Meizu Pro 5 debuts. It comes with an iPhone-like design and Galaxy S6 internals. Interesting? Here's more! 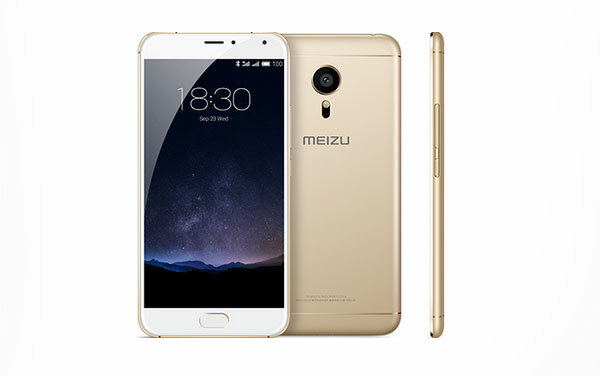 Meizu Pro 5 is hailed as the current flagship device of the Chinese outfit. Leaving the "MX" moniker in the cutting room, the Pro 5 comes with a favorable set of features that smartphone lovers would want to have in their next handsets. Meizu is marketing the device with its iPhone 6-ish design and Samsung Exynos 7420, the same chipset that powers the Samsung Galaxy S6 and S6 edge. The Meizu Pro 5 ticks with a beefier set of hardware packed in a powerful SoC - four cores of 2.1GHz Cortex A57 processors and another cluster of quad-core 1.5 GHz Cortex A53 CPU. In the graphics department, the Mali-T760 is the one responsible for strenuous rendering activities in games and in other graphic-demanding tasks. Likewsie, prospective buyers will have a choice between 4GB RAM (with 64GB internal memory) model and 3GB RAM (with 32GB native storage) version. This top-of-the-line handset also stirs the air in the camera department. Its rear shooter packs a 21.16MP sensor equipped with Autofocus capability and a dual-tone LED flash. On the front, there's the 5MP shooter for social media selfies. When we talk about Meizu phones, my personal favorite is the Flyme OS. Now, the skin is updated to the 5.0 version which is based on Android 5.1 Lollipop. Just like the previous Meizu flagship phone, the handset also features mTouch fingerprint sensor and Hi-Fi Audio. Connectivity-wise, the Meizu Pro 5 comes with the reversible USB Type-C. There's the Cat 6 LTE connectivity for faster mobile internet speeds up to 300 Mbps download speed (depends on your carrier). The dual-SIM capability still has the same setup - you can use the secondary slot to nestle the expandable microSD card of up to a 128GB. So it's either dual-SIM or one-SIM plus SD card. On paper, the Meizu Pro 5 is powered by the 3050 mAh Li-Ion battery which also features mCharge 2.0 fast charging technology. The latter allows you to charge up to 65 percent in just 30 minutes. We are very certain that the handset will hit Philippine shores in the soonest possible time. The company has already rooted in the Philippine market with several offline vendors. As for the price, our ballpark figures are Php 20,000 for the 3GB RAM version and Php 23,000 for the 4GB RAM version. So would you get one? Tempting.